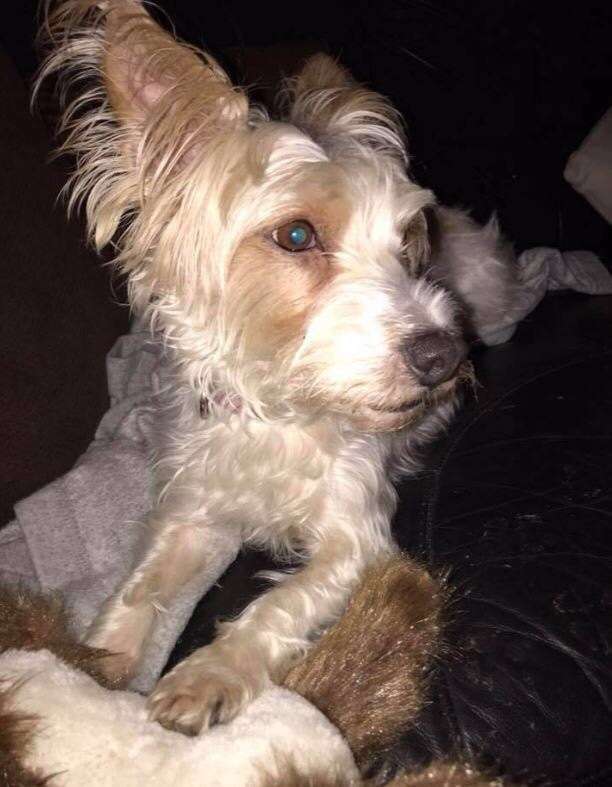 Daisy is a white and brown female Jack Russell terrier and went missing around Glenure Road in Eltham on October 18 around 11am. Her own Carole suffers with rheumatoid arthritis and Daisy helps her a lot. The Missing Paw Team is currently helping Carole search for daisy around Greenwich. It is a volunteer organisation that has more than 20 volunteers who will go out and help search for missing pets. It also offers support to owners during the troubled time. Daisy is a special case, because she keeps being spotted in Greenwich. 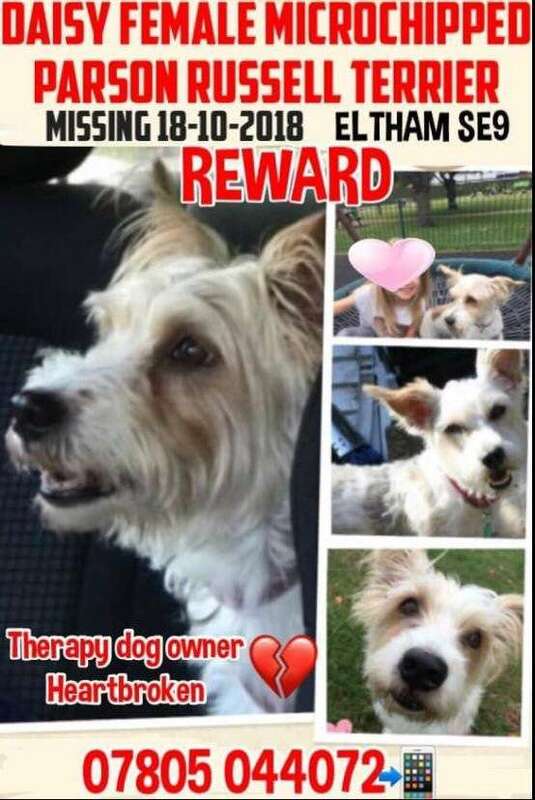 She was last seen in Blackheath on November 3 and then in Greenwich park on November 4, but the team has no been able to get there quickly enough. Carole is beside herself with worry and wants to see Daisy home and safe. She also has her owner’s telephone number on it. Vicki Hudson who works at the Missing Paw Team has asked people not to call or chase Daisy if they spot her.